If you own a commercial property with an attached parking lot, eventually you’re going to need to pay some attention to the condition of that lot. 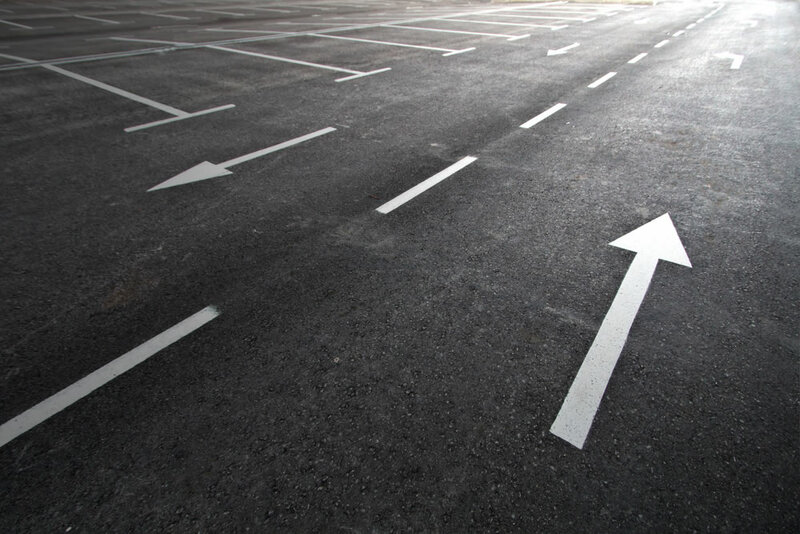 Getting your parking lot patched, paved, repaired, or having its parking stripes repainted are all things that may need to happen at one time or another, but you’re likely to have many questions about these steps. What does parking lot paving cost? How long will repairs take if needed? Here’s a short guide to all those questions and more. What Does Parking Lot Paving Cost? There’s no set price tag for paving a parking lot. There are a number of things that get factored into your total cost to pave a lot. These include things like the size of the lot, the rates charged by individual paving contractors, whether you want your lot to be sealcoated or not, whether you’re starting from scratch or if you’re repaving an existing lot, and so on. However, in the long run, paving a parking lot can actually be more cost-effective than paving a driveway, for example. Because of the larger surface area, the price per square foot of paving for a parking lot is usually more affordable overall. While prices absolutely vary from market to market, an average of anywhere between $1.25 to $1.50 per square foot is typical in many locations. When Should You Repair Your Parking Lot? Now that we’ve answered the question of what does parking lot paving cost, let’s move on to other questions. In this case, it’s important to understand that there’s never a bad time to repair your parking lot if it’s become cracked or if it’s developed potholes. At the same time, it’s absolutely true that the longer you wait to get repairs done, the more extensive — and more expensive — they may end up being. Small cracks and holes are easily and inexpensively filled, which prevents them from growing larger. Unfilled cracks will only get bigger and more costly to repair, as they can turn into alligator cracks and major potholes that can turn your parking lot into an ugly mess — and even wreck car axles or result in painful trips and falls for visitors! That’s why the best time to repair your parking lot is always as soon as you notice any damage. How Important are Parking Stripes? Parking stripes are a necessity for any lot, and not just because they provide clear-cut places for visitors to park their cars. Lot striping is important because it can help direct the flow of traffic into and out of your lot in a safe and efficient manner, maximize the number of vehicles that can park in the lot, and provide safe pathways for pedestrians through crosswalks and no-parking zones. Additionally, there are many legal requirements for parking lot striping that you need to comply with. The Americans with Disabilities Act, for example, contains rules for handicapped-accessible lot striping, including the number of stalls and their exact dimensions. If you ever repave your lot or have your striping repainted, you’ll need to ensure you have the proper handicapped striping in addition to the rest of your non-handicapped striping done up to code or you’ll risk being fined!